What is “Rumpel Wildspins” mobile slot about? 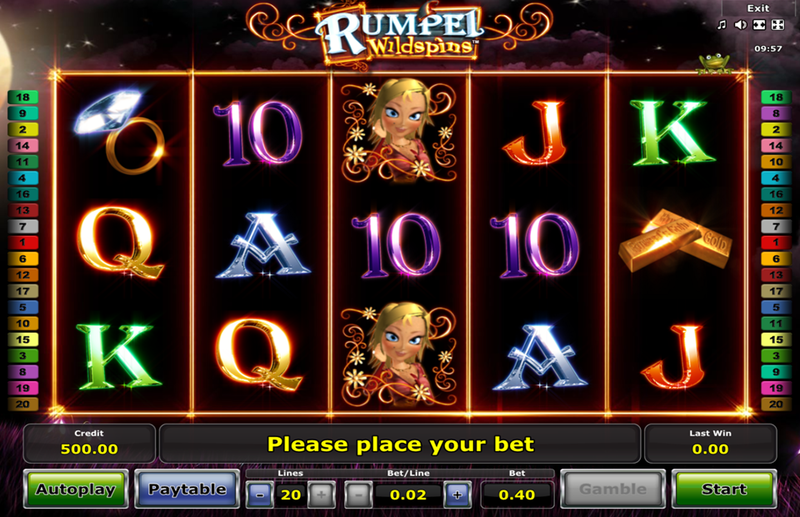 Play the latest slot from Novomatic: Rumpel Wildspins brings you the fairytale “Rumpelstiltskin” by Brothers Grimm. While the original is pretty cruel and creepy (at least from the adult point of view), the slot is much more “fairy” and “tale”-like. With its special “Wildspins” feature it has all you need to make a good payout. "And oh! I am glad that nobody knew..."